Expansion module compatible with IOFirebug engine (Community and Professional). 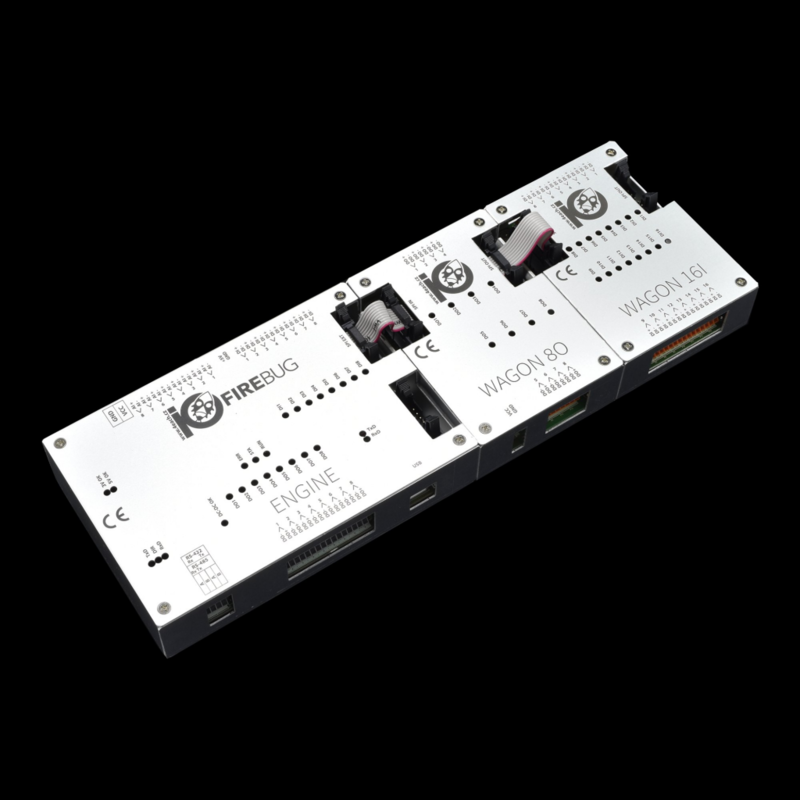 This module allows to connect 8 additional binary outputs to the system. 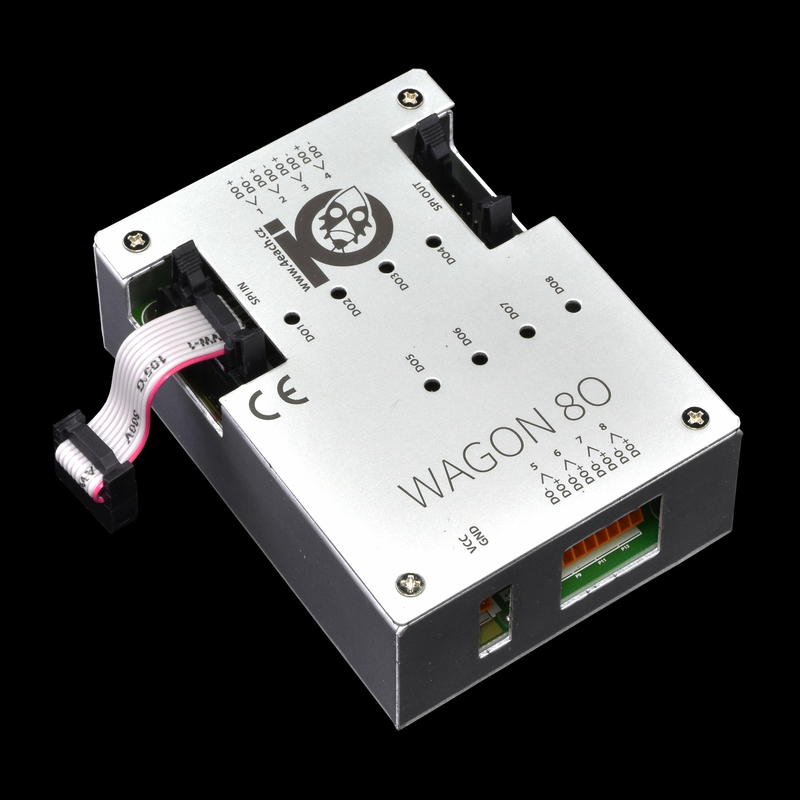 Expansion module WAGON 8O allows to connect additional 8 binary outputs to the main IOFireBug Engine board. Up to 7 other expansion modules can be connected to one Engine board.